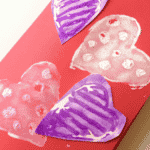 Today we have some fabulous Valentine’s Day Cards for Kids to make. 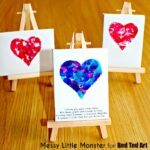 A big thank you to Maggy for hosting the 31 Days of Love project here on Red Ted Art and for inviting me to join in the fun! 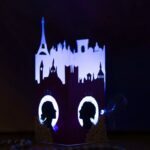 My name is Valerie, and I would love to connect with you on my blog at Inner Child Fun where I share crafts for kids or the kid-in-you. Please stop by and say hello! 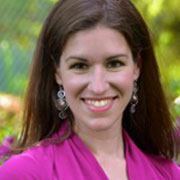 I am an active mom of 2, and I regularly contribute kids crafts and activities to print magazines, books, television segments, and other websites. 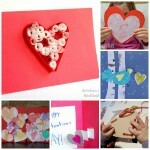 For today’s project, I am thrilled to share these oversized Valentine cards for kids to make with you! 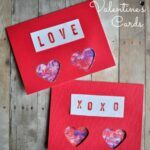 My kids loved creating these special Valentine cards, and could not wait to mail them off to far away family and friends! I love that this project is very open-ended. 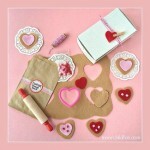 Plus, it uses mostly bits of scraps or leftover crafty materials you may already have on-hand. 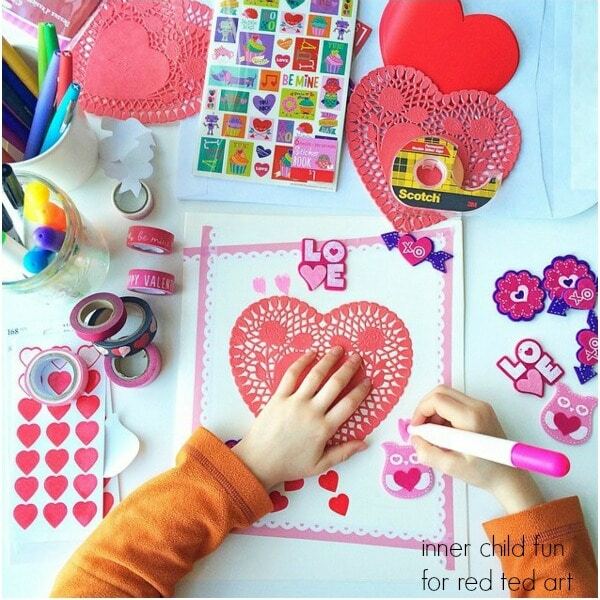 It is the large scale of this handmade Valentine cardÊthat makes it so special and quite memorable. We began by folding each poster board in half to form the card. 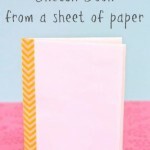 Depending on the size of the poster board, you may need to cut in half and fold each half again so the card will fit in the envelope. Ours just needed a little trim, and we were ready to go. 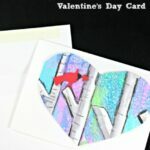 Next, I invited the kids to add their own special decorative touches to each card! While they were busy cutting, pasting, and drawing, I addressed the envelopes. If your kids are old enough, they could always address the envelopes themselves. 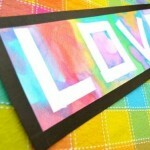 My kids love to send goodies in the mail, so this was such a fun project to do together! 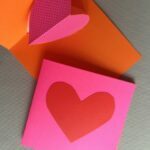 The kids may want to write a sweet message or draw a picture inside the cards. 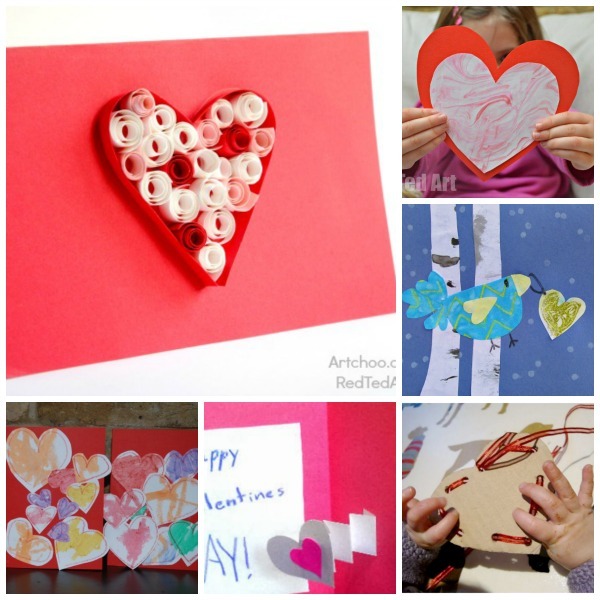 Don’t forget to have the kids decorate the envelope, and mail it off to someone special! 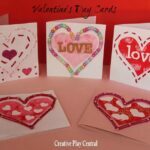 Looking for more Valentine’s Day Cards for Kids – take a look at these 20 child friendly Valentine’s Day card designs!